Aldgate Ward Club Installation Dinner at the Baltic Exchange, City of London. 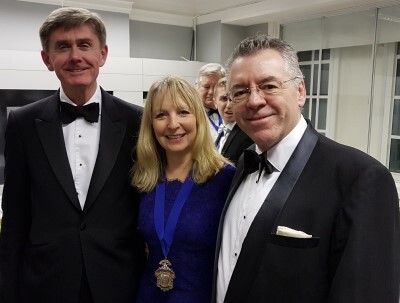 David Stringer-Lamarre, MD of FortisCL said that this was a very good evening and that he was pleased to be present for the first event of the new President Andrew Marsden. Alderman Sue Langley OBE addressed the many attendees, in her role as Alderman of Aldgate and spoke about the importance of diversity and inclusion.